Navies Worldwide / Navy News / Do conventional submarines need diesels in the future? When you think of conventional submarines, you think of batteries and diesel engines. However, that might change completely. Naval architect Sven Los from Nevesbu presented a new concept: the electric submarine. Without diesel engines. A submarine revolution? Ever since the early days of modern submarines, some 120 years ago, conventional submarines have been sailing on batteries that can be recharged at any time with the help of onboard fuel generators. That concept has barely changed, despite all technological developments. Yes, thanks to the snorting mast, a submarine can also stay submerged during charging, and air-independent propulsion (AIP) has created a small revolution. Because of AIP, next to diesel generators and batteries, submarines can stay submerged even longer. The next step might have much more impact. If the diesel engines are removed from the submarines and many more batteries are installed, Sven Los believes this will result in a less complicated design, less maintenance, a smaller crew, less chance of detection and lower costs (in acquisition and operation). 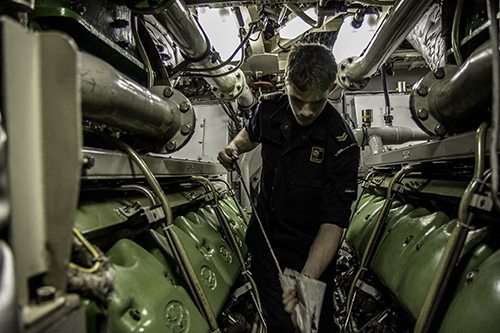 On board of a classic diesel-electric submarine, depending on its size, there are two to four diesel generators plus systems such as a snorting mast, tanks for fuel, an exhaust gas system and many pipelines to connect all these parts. This takes up space and requires maintenance both at sea and on shore. In addition, certain parts, such as valves, are sensitive. The diesel generators and the snorting mast also provide an increased risk of fire and leakage. This is why there is a lot of technical staff on a submarine. Jaime Karremann from Naviesworldwide.com/ Marineschepen.nl spoke to Sven Los at the IV-Group’s office in Papendrecht (the Netherlands), an organisation of which the maritime engineering firm Nevesbu has been a part since 2004. Nevesbu was founded in 1934 and, together with the Dutch navy, took care of the designs of various cruisers, destroyers, frigates and submarines. 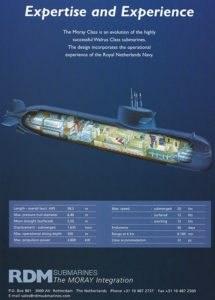 Nevesbu was involved in the design of all Dutch submarines since 1945 andthe Hai Lung class submarines of Taiwan. Nevesbu also contributed to various foreign designs and to the upkeep programme of the Walrus-class. 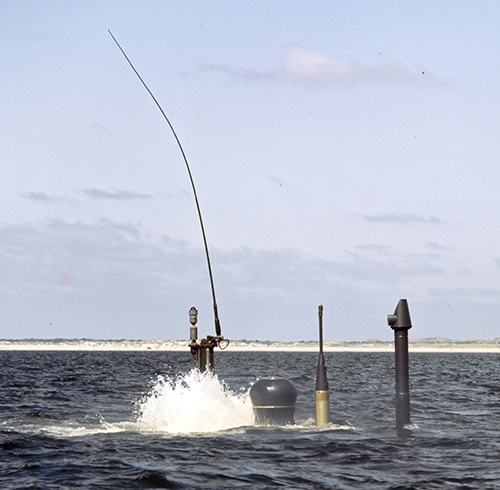 As a subsidiary of the former Dutch shipyard RDM, it also designed the export submarine Moray. However, the agency is also constantly researching opportunities to innovate. 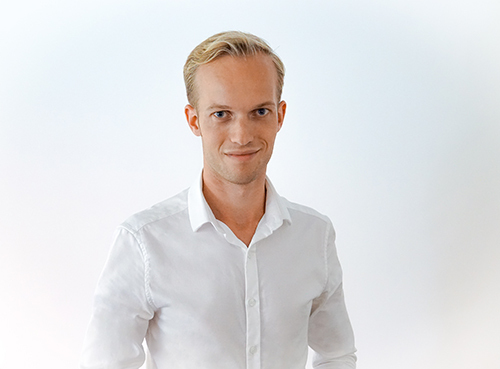 When Sven Los started his graduation project at Nevesbu in 2017, he was given the assignment to conduct research into fully electric submarines. Los’s design is based on the Moray. This submarine was developed by Nevesbu in the 1980s to be sold by RDM. The result is an electric Moray-1800 without engine room, snorting mast, fuel tanks, fuel pipes and all kinds of other equipment. The accommodation has been moved backwards and a lot of batteries have been added. 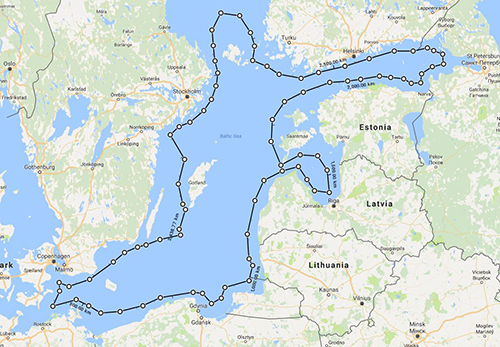 That means the electric submarine can sail around the Baltic Sea while submerged. “For such profiles, a design like this is very interesting, because the Swedish submarines almost immediately enter their patrol area. 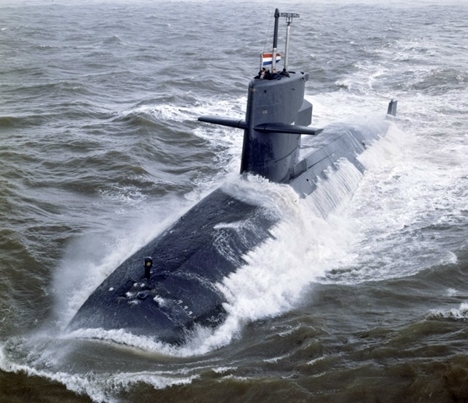 Dutch submarines first have to transit long distances.” For example, in the past, Dutch submarines have been operating mainly in the Norwegian Sea, Mediterranean Sea and even in the Indian Ocean and Persian Gulf. Like their Canadian and Australian counterparts, they are weeks or months away on a deployment. Diesel-electric submarines regularly have to recharge their batteries. The least noticeable option to do that is sailing at periscope depth, putting the snorting mast out of the water and starting the diesel engines. 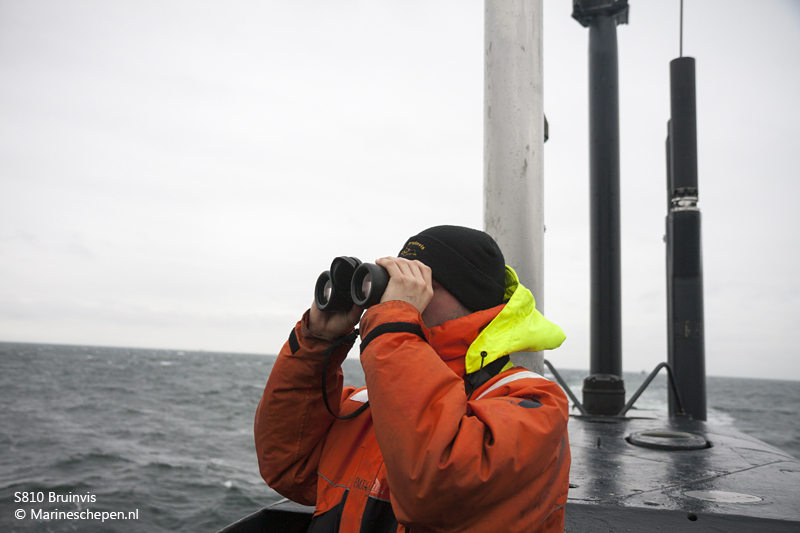 But, a snorting submarine can be detected in several ways: the diesel engines make a lot of noise, the submarine sails just below the surface of the water and can be seen in clear water with the naked eye or with magnetic sensors, the diesel engines produce a lot of heat, and the masts can be seen by radar. A submarine that does not have to snort has a huge advantage, as we have seen with nuclear submarines. But there is more, Los discovered: “To start with, an electric submarine doesn’t have the extreme signatures of snorting, and in addition it does not have any fuel on board, so you need fewer valves and pumps.” These valves and pumps produce noise when fuel from a tank is used and the weight of the boat has to be corrected. The electric submarine is therefore also quieter when submerged than a diesel-electric submarine. 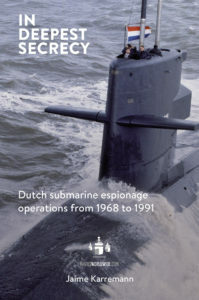 As the book In deepest secrecy shows, during a patrol, diesel-electric submarines leave their patrol area before they start snorting. To go to that snorting position, they first have to transit for a while and when they are not in their patrol area they might miss crucial intelligence. 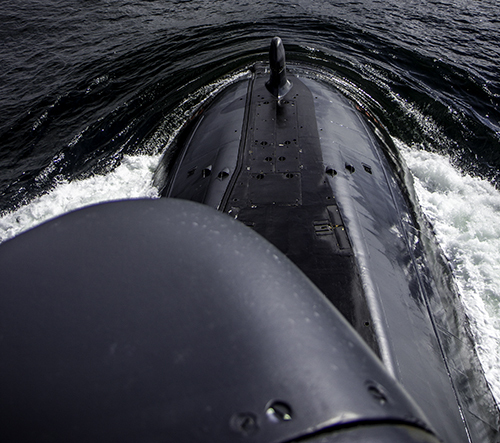 An electric submarine can stay in its patrol area for much longer. “I expect that it is possible to reduce the size of the crew, depending on the requirements and automation on board, to 18 to 20 people.” This obviously saves costs (salary, training, etc.) and the recruitment department doesn’t have exert itself to recruit technicians. Less crew; risk in case of fire? During his research, Los first investigated the available battery technologies and looked at which would be best applicable for submarines. Lithium batteries turned out to be the best. The advantages of lithium batteries compared to those of lead-acid batteries are, for example, that lithium batteries are much smaller. A submarine with lithium batteries can also sail longer. Hence, the effect of fire in one battery becomes minimal, because there are a lot of cells, explains Los. There is no need for a separate backup according to him, because “they are all backups”. If batteries are damaged by fire or something else, there is enough spare capacity. An electric submarine cannot charge its batteries itself. Recharging has to be done in port, but that can be done in quite a short time, says Los. The batteries of his concept submarine can be charged in 16 hours, at its fastest. In the researcher’s view, it is also possible to order a diesel generator and recharge the batteries that way. That already provides more flexibility, but Nevesbu has continued to think outside the box for solutions . “We have also talked about charging via a support ship. 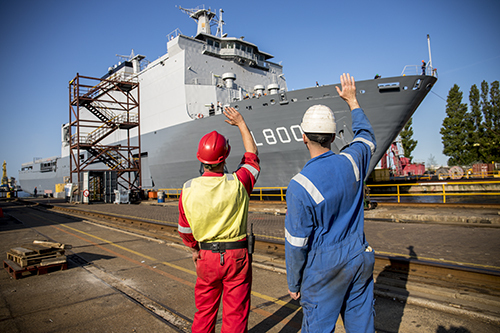 The submarine can sail next to a replenishment ship that uses its diesel engines to transfer energy. I don’t know if any navy could be interested, but it certainly is possible. ” Many countries have submarine support vessels, so the concept of charging at sea might be relatively easy to apply for them. Back to reality. The technique is not ready yet to be appliedto submarines used for operations thousands of nautical miles from home. InLos’s view, the electric submarines are especially suitable for countries that now want to operate close to home with smaller submarines. Countries such as Germany, Sweden, but also Greece, Singapore and Indonesia, for example. There is, however, another interesting market: countries that do want submarines, but find them too expensive and / or too complex. 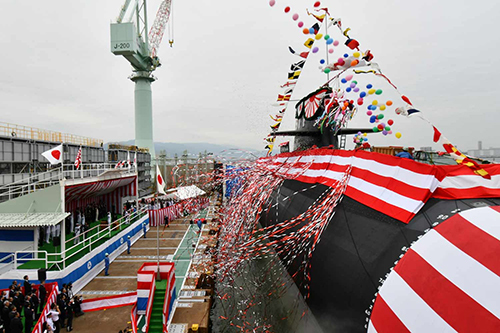 They can not only purchase these submarines, but also design and build them themselves. That is why Nevesbu is currently researching a concept of batteries and AIP. 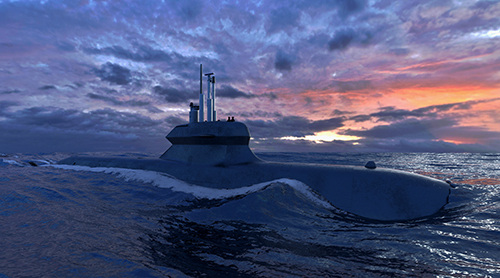 Will electric submarines cause a revolution within the submarine world? 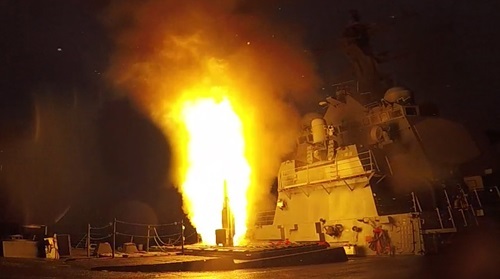 It is likely, but as usual, it does not only depend on technological development, but also on the courage of admirals to move in that direction. This article was published on Marineschepen.nl in Dutch.